You probably don’t have the resources needed to dedicate a lot of time to each and every social media network. Trying to promote your business on every social media network seems like a good idea, in order to maximize the amount of people you’re reaching. In reality, you’re just spreading your resources thin. Social media is just one component of your marketing strategy, and marketing is just one component of your business as a whole. If you’re reading this, you probably don’t have an elaborate plan with an entire team of people dedicated to your social media marketing strategy. At best, you’ve got a few people whose jobs are to promote your business on social media, or you’re promoting your business entirely on your own. Either way, you don’t have the resources to track metrics, engage with followers, and create content for each social media network. Social media marketing is a lot of work. It’s not nearly as simple as just sharing some of your content or quick updates. You aim for laser-targeted fans and followers, and you have to engage with them in order to build a relationship with your potential customers. You cannot accomplish this on every social media network because it takes a lot of time. Note: It can still be beneficial to have a presence on social media networks that you don’t put a high priority on. Not every social media platform is right for your business, so it makes sense to focus on the ones that work best for YOU. For instance, if LinkedIn focuses on B2B networking, would it make sense to promote your B2C business (such as a fitness or health-based business) on LinkedIn? Of course not. That’s a bit of an extreme example, but let’s take another case study: Copyblogger. In late 2014, popular content marketing and copywriting blog Copyblogger deleted its Facebook page. Why? The returns from the amount of effort they spent on their Facebook page weren’t worth it. Now, you may just be thinking: “Why didn’t they just utilize Facebook differently?” Well, they did. They tried different types of content, engaging with fans by asking questions for input, and none of it worked. Simply put, their Facebook audience wasn’t engaging. In the above post, Erika Napoletano, who managed the Facebook page, explains that although Facebook was working well to promote some of her other ventures, it appeared that despite their best efforts, Facebook wasn’t right for Copyblogger. The type of people who read the Copyblogger blog and engage with them are rarely found on Facebook, and even when Copyblogger asked their fans, they were told that Facebook wasn’t the preferred place to find Copyblogger. Does this mean that Facebook is ineffective? Of course not. Tons and tons of businesses have a LOT of success marketing on Facebook, even if some don’t. Your customers may be mostly found on one platform, while very few are active on another platform. Customers may just not want to interact with you on a certain platform, possibly because it normally caters to connections outside of businesses, such as family and friends. 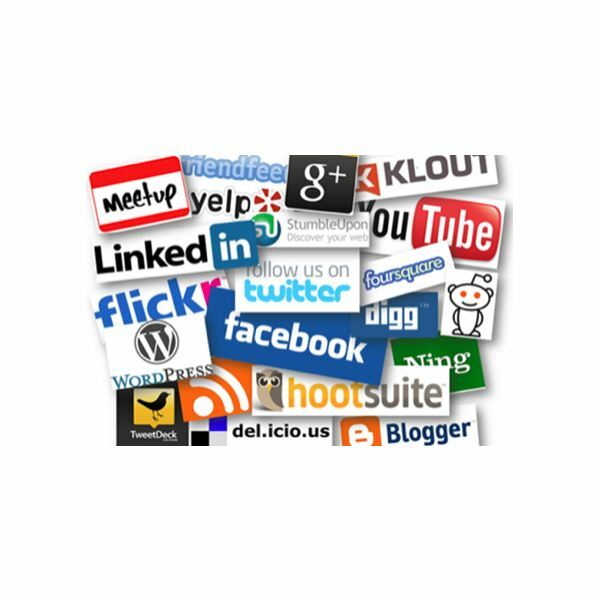 Overall this means one main thing – not every social media network is the right fit for your business. First off, let’s determine how many resources you have available to dedicate to social media. If you’ve got a couple of people or even one full-time person working with social media, you can try multiple platforms out and see which works the best. The more people you have on your social media team, the more social networks you can try, however even if you’re a one-person team I would recommend putting out some content and promoting your business on at least 3 social media networks. That said, you obviously can’t try EVERY social network that you can find. Now, look at what your business is about and who it serves, then beginning ruling out social media networks that won’t help you very much, at least for the time being. Along with that, pick some social media networks that you feel suit your business. For example, if you’re targeting middle-aged women, Pinterest should be one of your main focuses for social media. If you’re not, then continue looking – if you have a product or service that would appeal to a younger crowd and you can create relevant, aesthetically appealing images, Instagram is a great marketing tool. This is very prevalent in fitness and health-based companies, who often put a lot of effort into Instagram as that’s where new trends such as eating superfoods thrive. Keep track of engagement – how many comments, shares and likes (or their equivalents on platforms other than Facebook) are you getting per/post, in relation to how many fans you have? Ask yourself: which type of content does my following on [insert social media network] like to see? Which social media network drives the most traffic to my website, in relation to how many fans I have there? Which of my social media accounts is growing the fastest? Once you’ve decided on which social media networks you want to focus on, begin creating a plan and gather more data about that social media network and the fans you have on it, then work on growing the page. About the Author: Oscar Wong is an entrepreneur, growth-hacking and social media marketing blogger that focuses on growing businesses through high-quality content. He runs the WrongWriting blog, helping new and experienced entrepreneurs hoping to grow their business and take it to the next level.